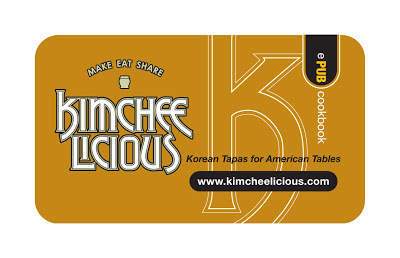 Kimcheelicous is an ePUB cooking series that feature Korean Tapas for American Tables. 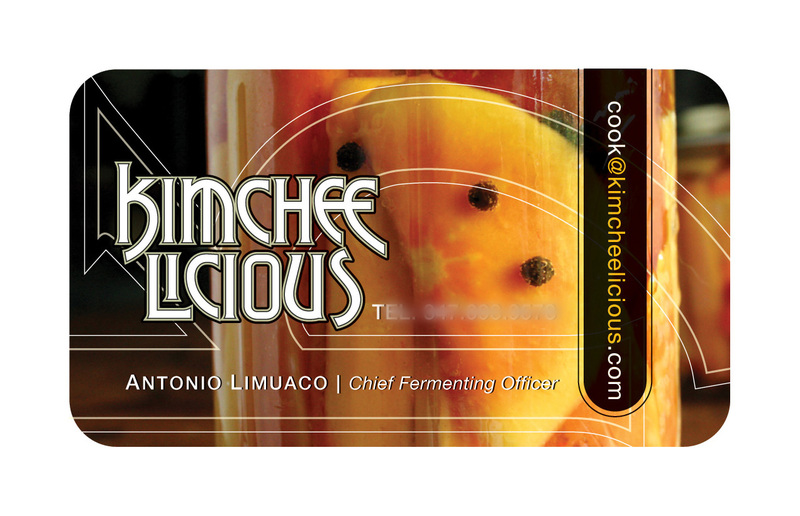 I just uploaded my business card (front and back), ETA delivery Dec. 24. There’s so much more work and late nights ahead. 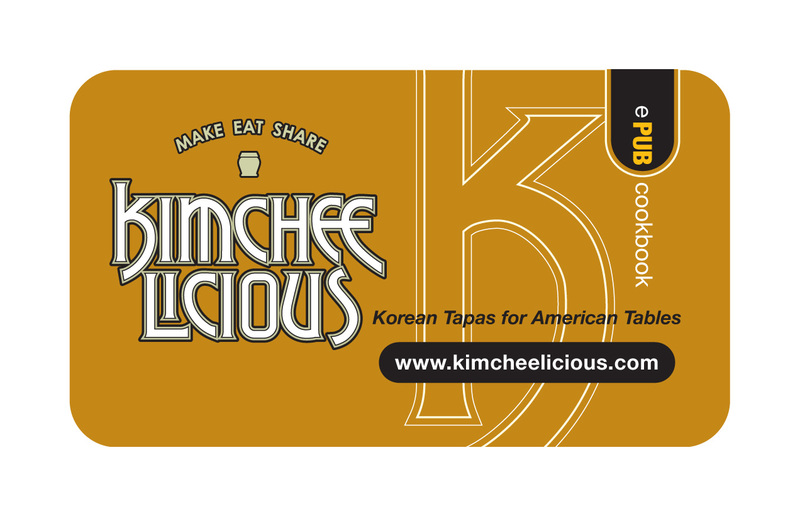 As I play with cover comps and photos for my ePUB cookbook, I return to the identity system that I designed to tighten things up. As a communication designer I’ve broken the visual scheme and content down into components to create support materials. In the pyramid of brand development, collateral design supports the main body of a product’s identity system—trademark, color systems, tagline, digital and printed promotions, web presence, blog media, social media are only working parts of the whole. The sum of all these support something greater: the actual tangible product. All of these can be created in tandem only if the identity of the product is clearly defined and mapped. Even in the digital age a business card is still indispensable, it’s a casual introduction to the brand and a component of real-time communication.